This Securistyle is designed to allow easy cleaning. Specifically developed to meet PSA regulations and to satisfy the increased safety requirements including emergency exit, now demanded by local authorities and other public bodies for side hung windows. Allows windows to open to a minimum of 80 for emergency exit (16'' version only). Unique controllable friction device negates need for a peg stay to hold the window open. Unique locating system for reliable closing. Built-in second slider - invisible when the window is closed - gives easy clean facility at the press of a lever. 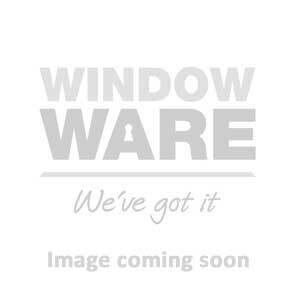 Complies with PSA method of building regulations for fire escape windows - minimum opening size, 500mm x 850mm high at a maximum height of 1.1m from the floor.